The questions in this study guide relate directly to the content of the book, World Winding Down. To assist with further study the reader is recommended to consult the creation.com website Q&A page titled ‘Quantum Mechanics and Thermodynamics Questions and Answers’ for more detailed explanations of the laws of thermodynamics and how they relate to the creation/evolution debate. 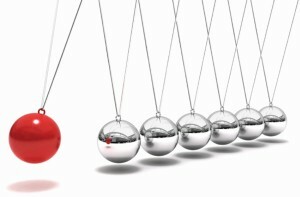 Why is the Second Law of Thermodynamics (2LT) considered one of the most perfect laws in physics? 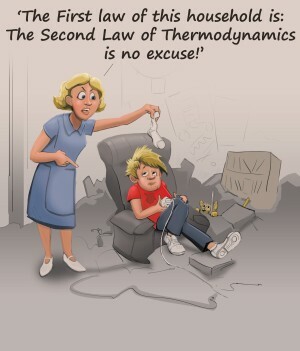 List some of the things that occur in the real world that the Second Law of Thermodynamics ‘explains’. The Second Law of Thermodynamics is often called ‘time’s arrow’, because it …? Makes time appear to stand still. Serves to define the direction of time. Makes the idea of time travel possible. Allows time to flow backwards. A ‘system of matter and energy’ means … ? 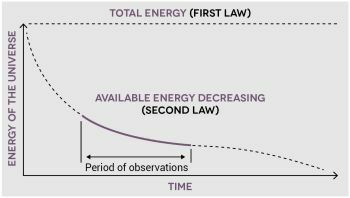 What are the two principles that form the basis of the Second Law of Thermodynamics (2LT)? To go from a disordered arrangement back to an ordered arrangement requires more than just energy— what else is needed? Fig. 11. Helium gas in left compartment, vacuum in right. Fig. 12. Opening a valve between them allows the gas particles to be in any place within either of the two compartments. Fig. 13. Helium atoms rush out towards the other compartment. Fig. 14. Helium atoms and pressures evenly distributed both sides. What has happened to cause the re-arrangement of helium gas particles (X) from initial state in fig. 11 to the final state in fig. 14? Systems tend toward Thermal Equilibrium (TE). What does this mean? What are the principles in operation in the helium gas example that demonstrate the 2LT? 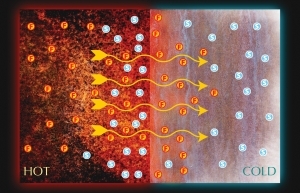 In the image here, heat flows from hot to cold because? This always happens when copper is heated up. The heat forces the molecules out of the hotter block into the colder block. The evened out, or more disordered, arrangement of molecular energies is much more probable. The molecules in the colder block absorb the molecules from the hotter block. When the copper blocks are put together the temperature ‘evens out’ so that each block is eventually of the same temperature. However, before this had happened, list two examples of how work could have been extracted from the system. List the various ways of explaining the natural direction of things. Particular constraints exist within a system that ‘force’ order to arise. The 2LT does not apply. There is no more available energy in the system. There is enough available energy in the system to allow order to arise. In the system shown here, what are the two constraints that cause disorder to spontaneously become order? 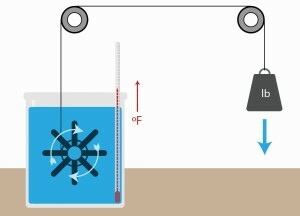 The experimental setup shown here can be used to demonstrate what effect? How energy can be converted from one form into another. How a paddle wheel works under water. 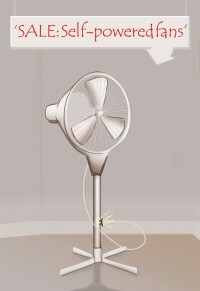 How pulleys provide mechanical advantage. Why is it vanishingly improbable that by cooling the water the energy can be transferred in the opposite direction to lift the weight? ‘Newton’s cradle’, a well-known time-killing gadget, in which the ‘downhill’ action on one side drives the subsequent ‘uphill’ action on the other. Friction causes energy to be progressively lost as heat. The red ball runs out of energy. 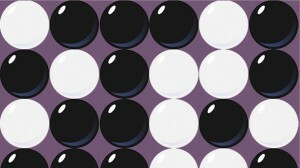 There are too many silver balls which react against the red ball. The red ball is not large enough to provide sufficient energy. The sun-to-earth (‘downhill’) flow of energy drives many ‘uphill’ processes on earth, including most biological machinery, and most of man’s machinery (hydro-electric power, fossil fuels). Although all manner of ‘uphill’ processes can be driven by the ‘downhill’ transfer of energy, e.g. 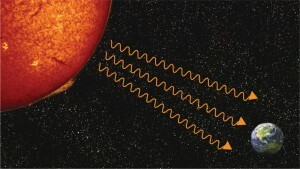 heat energy from the sun driving the earth’s biological processes, what is required in order for this to happen? The right mechanisms must be in place for ‘uphill’ processes to utilize the ‘downhill’ supply of energy. ‘Uphill’ processes must not waste energy. ‘Uphill’ processes must be able to store energy. The ‘downhill’ transfer of energy must be at a constant rate. 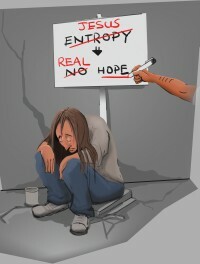 What is meant by the term ‘entropy’? that it strives to a maximum. that the universe does not exhibit entropy. 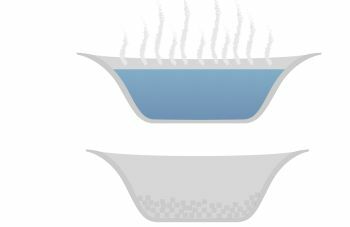 A bowl of warm concentrated saltwater spontaneously cools down to form salt crystals—an increase in order in this system, all by itself. 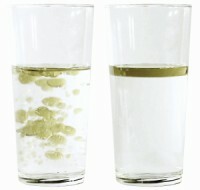 When the hot, concentrated salt water in the diagram evaporates it results in an ‘ordered’ arrangement of salt crystals, but the ‘disorder’, or entropy, of the universe still increases. Why? 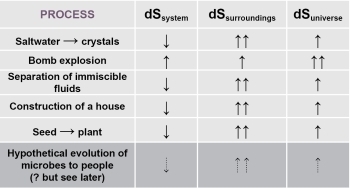 Regardless of any increase in the ‘order’ of a system (or process) as shown at right, the ‘disorder’ of the universe always increases, without exception. Why? In the graph at right which illustrates the two laws of thermodynamics when applied to the universe, mark where the universe would reach Thermodynamic Equilibrium (TE). Why have you marked it where you did? Why can’t the universe be eternally old? It would have ‘wound down’ completely (reached TE) by now. Things don’t seem to last forever. New things appear all the time. Give two reasons why the currently popular idea (from those that deny a creator God), that the universe created itself from absolutely nothing, through ‘fluctuations in the quantum vacuum’, defies rationality. The graph of the universe’s energy shows that the universe becomes more ‘wound up’ as we go backwards in time, so it must have started, or begun, in a more ‘wound up’ state. 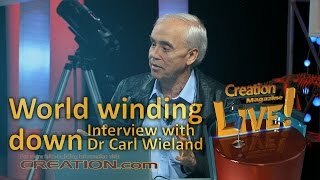 If the universe therefore had a beginning, and the idea that nothing can cause itself to exist is illogical, what is the most logical explanation for how the universe came into existence? Because of the immutability of the 2LT, what would eventually happen to the universe if natural processes were to continue uninterrupted? The universe will reach a state of ‘heat death’ (total TE). The universe will continue to go on as it always has. The universe will get smaller. More stars will continue to be formed. What does the 2LT affirm is the final destination, and ultimate reality, of the evolutionist/materialist faith? A hopelessly cold, dead universe, devoid of life. A universe that is never-ending. Man becomes more intelligent with time. The fittest will survive the longest. The laws of thermodynamics are just a scientific expression of man’s interpretation and understanding of the behaviour of energy and natural processes in the observed universe. In the table below complete the corresponding special revelation from God to all mankind (not just scientists) found in Psalm 102, that explains in His words the order of the universe He created. 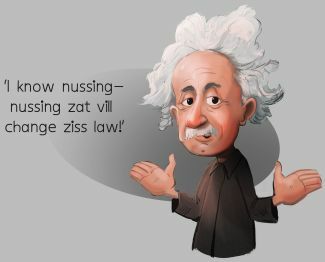 Second law—the amount of energy available to do useful work decreases as the entropy of the universe strives to a maximum. What is the Bible’s ‘big picture’ that provides hope, rather than despair, for the Christian? The downhill progression, or ‘winding down’, of the present Heavens and Earth will never reach its destination as God has promised to renew His creation. The universe is not as old as evolutionists/materialists claim. The universe is not running out of time as some people think. Although God doesn’t describe His plan for the universe in terms of thermodynamic laws, we can have hope in the future nonetheless. It’s not a good idea to say that the 2LT started with the Curse. Why? If the 2LT was already in operation before the Fall, and some of the outcomes of the 2LT in today’s world include death and disease, what did the Curse likely represent? A withdrawal of some of God’s sustaining power which had restrained/counteracted some of the effects of the 2LT. The Curse does not have anything to do with the 2LT. The Curse was on Adam only, not the rest of the Creation. The Curse slowed down the downhill effects of the 2LT. Describe the differences in these patterns in terms of order and complexity. What is required to construct information-bearing, specific sequences similar to Pattern B? A machine typing at random. The evolutionary belief system requires that spontaneous, natural processes, without directed effort and intelligence, are able to generate the information required to develop more complex forms over time. Explain why such a belief is ill-founded. Evolutionary belief is bankrupt and the Bible is consistent with these real-world observations. Evolution can explain increased complexity. The winding down of the cosmos does not affect the process of evolution. The cosmos itself has evolved. List some biblical references that attest to the laws of thermodynamics through God’s special revelation. Special thanks to Wayne B. Taylor for invaluable help in preparing this guide.